Grand Gesture on Grand Turk! 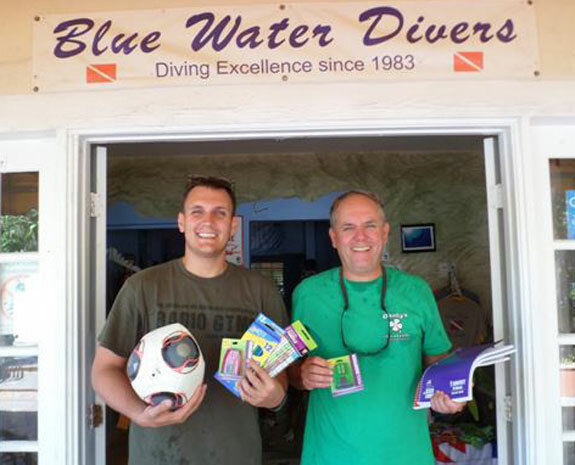 At Blue Water Divers, Grand Turk, our company motto has always been “Have Fun, Do Good.” When the wonderful Rouse family from Georgia wrote to us in April asking if there was some kind of voluntary work they could do to help others during their brief visit to Grand Turk, we jumped at the chance to look into some options for them. 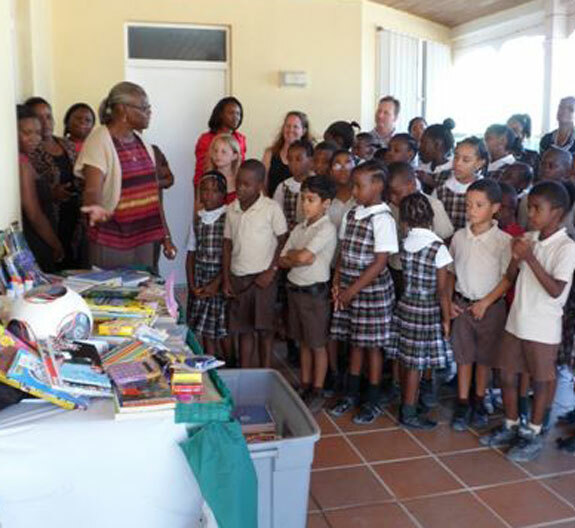 Their inquiry led to us to Pack for a Purpose, with whom we have become an associated Tour Company and with whom we have developed our first project to provide much-needed school supplies to the Eliza Simons Primary School on Grand Turk, Turks and Caicos Islands. Shaleza Rouse and her family then got together with homeschoolers and churchgoers in their hometown to collect donations. And what a donation they achieved! 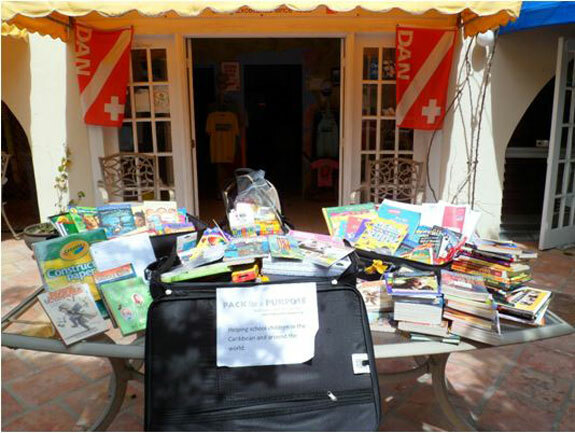 On May 29th, 2014, Shaleza, David, Bethany, Emily and Shaelyn Rouse disembarked their Carnival cruise ship and arrived at Blue Water Divers with an incredible 114.25 pounds of school supplies, including: paper, books, crayons, glue, erasers, and markers. This generous and thoughtful family then jumped on one of our boats to “Have Fun” on our two-hour snorkel trip, with perfect weather conditions on a beautiful Caribbean afternoon. Upon their return (after a quick hair tidy! ), we got onto the “Do Good” part and headed over to the Eliza Simon’s Primary School, where we found some of the school children and their teachers waiting to meet us. 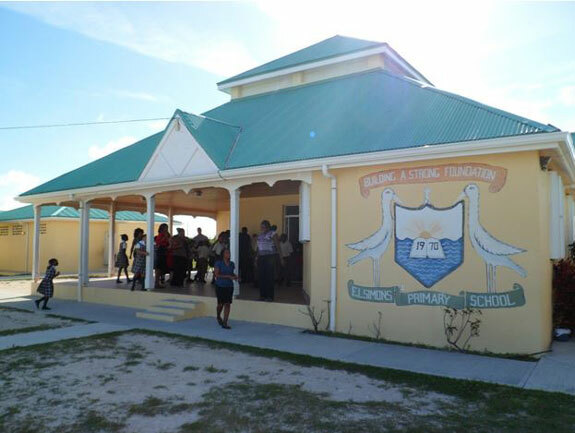 Juliet Arthur-Thelwell, Vice Principal at Eliza Simons, welcomed Blue Water Divers and the Rouse family and thanked us for our involvement in this project, explaining how difficult it is to obtain a variety of items on our remote island. 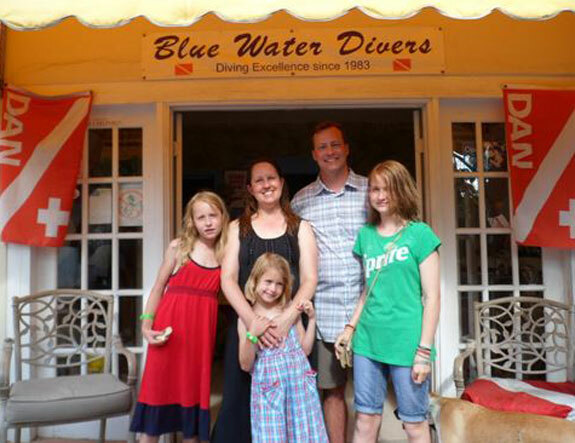 Both Blue Water Divers and the Rouse family were then touchingly presented with a framed Certificate of Appreciation from the school children, who then joined their teachers in a charming song of thanks, before hearing their Principal, Norma Seymour, explain the Pack for a Project organization and what it means to the school. 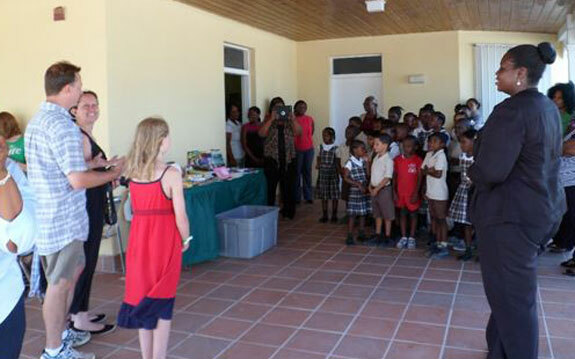 The Eliza Simons Primary School children were given an opportunity to take a closer look at what the Rouse family had brought them and there was much excitement over the soccer ball, which was actually part of a donation made by Kevin and Drew Ayres during their visit to Grand Turk earlier in May! We enjoyed a lovely time of meeting with the children and made some new friends. We were sad to say goodbye to the Rouse family, but happy to have had the opportunity to join them at the Eliza Simons Primary School and meet the children and teachers, and we are already looking forward to receiving another donation from cruise ship visitors in July! We hope to remain part of this wonderful project for many years to come and support our local community in this innovative and fun way.